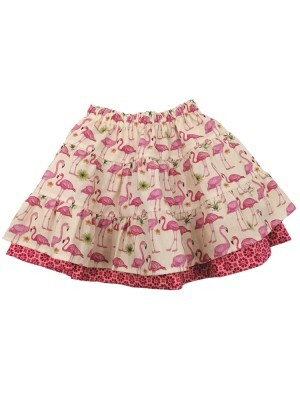 A gorgeous reversible full skirt with a flamingo print on one side and a pink cotton print on the other. A soft elasticated waist. Take a look at the matching t-shirt below. Fabric Content – 100% Cotton Garment Care – Cool m..
A beautiful reversible summer skirt with flowers on one side and a lilac print on the other featuring a soft elasticated waist. Fabric Content – 100% Cotton Garment Care – Cool machine wash ..
A gorgeous reversible skirt with a needlecord floral print on one side and a cerise needlecord on the other. Soft elasticated waist. 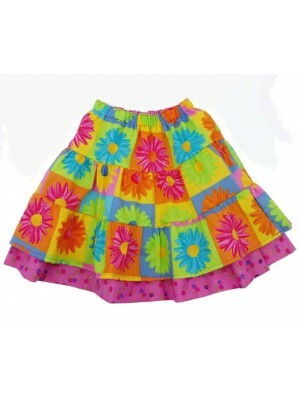 Fabric Content – 100% Cotton Garment Care – Cool machine wash ..
A bold reversible skirt in a vibrant floral print on one side and a raspberry floral on the reverse with an elasticated waist Fabric Content – 100% Cot..